A landlord has said there will be no ‘knee-jerk’ reaction over complaints of anti-social behaviour, but it will do all it can to resolve them. Isos Housing made the pledge to residents of Oldgate following complaints that a neighbouring supported housing scheme is causing problems. I don’t believe it is acceptable for anybody to live with anti-social behaviour. I wouldn’t want to live next door to it, and I don’t expect anybody else to. The landlord says that a series of improvements have been made to the property to try to reduce noise disturbance, including replacing worn stair treads, installing soft door closes and carpeting the stairs and living room. Isos Supported Housing Projects Manager Jane Gallagher said: “The past has happened, what we are trying to do is move forward to resolve this so that this project continues, but doesn’t cause anti-social behaviour. One resident said the design of the supported housing property is part of the problem as the living areas are upstairs, next to neighbours’ bedrooms. Ms Gallagher said it could be looked at, along with sound-proofing, if the latest measures do not work. “If it is an absolute sticking point that the design of the building is the problem then we need to look at what we can do about that, but we need to see if the changes we have already made are going to make enough of an impact. They have just been installed so they have not been tried and tested,” she said. 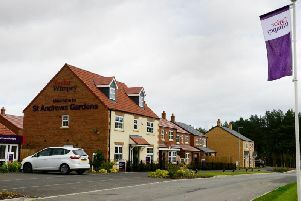 It was also suggested that neighbours could install sound monitoring equipment to keep a check on the noise, but they were concerned about reprisals. Ms Gallagher assured residents that all complaints will be taken seriously and urged them to report problems when they arise. She dismissed immediate calls for the project to be moved elsewhere, but said the situation will be kept under review. “If the situation continues and it is proven that we can’t improve it, we will have to re-think it,” she said. “We need to see if we believe that property can continue to serve this type of project. We need to make that decision, but it is not going to be a knee-jerk decision. We need to continue monitoring. An update is expected at the end of June.